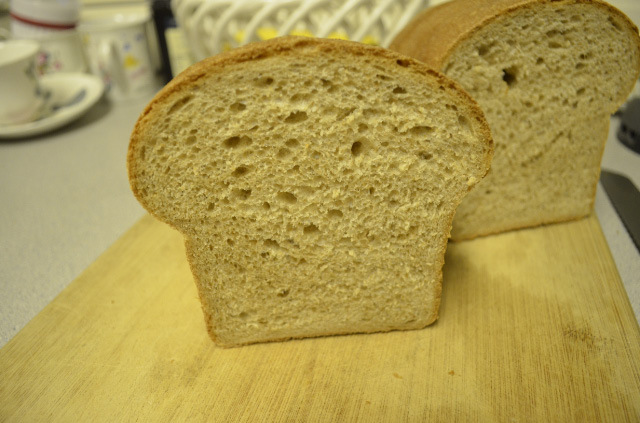 I love homemade whole wheat bread and this is a great basic recipe. It makes wonderful sandwiches and excellent breakfast toast. 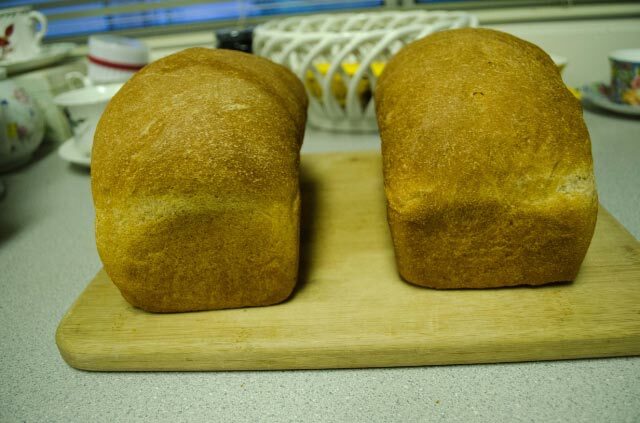 I baked this a week ago when the temperature was only 95 degrees instead of the 107 degrees we had this week end. The other event in our household this week was our new puppy! There has been very little free time this week to write a blog post. 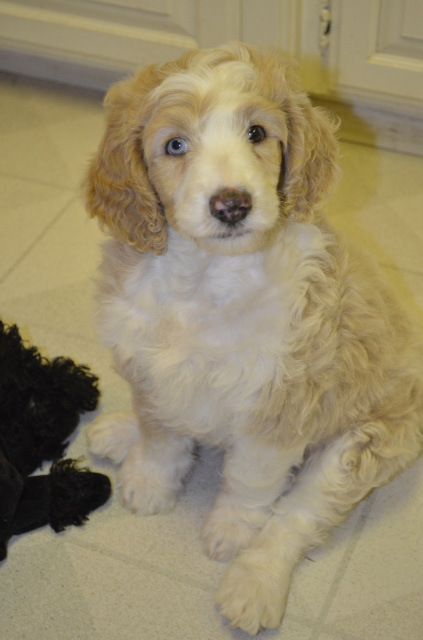 Here is Thor — our 7 week old Standard Poodle / Australian Shepard mix. Isn’t he cute! Your bread is lovely, but I can’t stop looking at the photo of your adorable puppy! what a lovely looking puppy! The bread looks great but the puppy looks better! Can’t decide which one we like best, the bread or the puppy? Lovely job on the bread. Thor is adorable!